Preserve is a gated community built by Monterey Homes between 1998 to 2002. In The Preserve, Monterey Homes offered 4 floor plans, (3 single story and 1 two-story) on 57 lots. Floor plan include 3 to 7 bedrooms, and a standard 3 car garage, with option to add a 4th car garage. 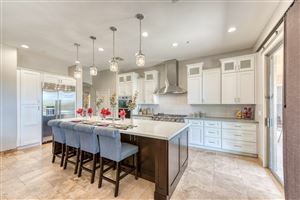 This North Scottsdale subdivision in the Desert Foothills Character area. See all Preserve - Desert Foothills.